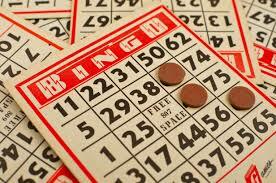 Simply print out a Bingo Card, replacing the numbers with sight words. Call out the words one at a time. If your child recognizes a word you’ve called on their card, have them cover the word with a marker. When the markers line up and complete a row horizontally, vertically, or diagonally, they yell “Bingo!” and have won the game. Write a list of sight words on a sheet of paper. Then, write the same words each on individual sticky notes. Take the sticky notes and place them around the house. Have your child read the list of words aloud and then begin the search. When they find a word, they must call it out and place it on top of the matching word on the sheet of paper. Once all the words are covered, they’ve won! One person is assigned the role of traffic cop (TC), and stand with their back facing the rest of the group. When the TC shouts “Green light,” the other children must run towards him/her. When the TC yells “Red light!” and turns around, all other players must freeze. Any person caught moving must go back to the beginning. The first person to reach the TC wins. Incorporating sight words into this game is easy. Give the TC a selection of sight word flash cards. Each player must identify a sight word to remain in his or her spot after “Red light!” has been called. Another option is that a player caught moving can be saved by identifying a sight word. You can use an online word search generator and enter a customized list of sight words for your child, or simply draw out your own. Write the words horizontally, diagonally, and even backwards. You can give your child the list of words they need to find, or for an added challenge, see how many they can spot without the list! Using a deck of index cards, write down a sight word on each card. 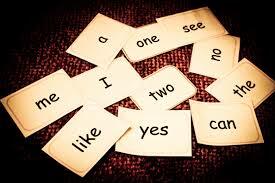 Make a duplicate of each card, so that there are two index cards for every sight word. Place all of the cards facedown on the table. Have your select two cards to flip over and read aloud. If they match, set the cards aside. If the cards don’t match, turn them back over and have your child select two more cards. Once all of the pairs have been matched, the game is over. All you need for this game is a sidewalk and chalk! 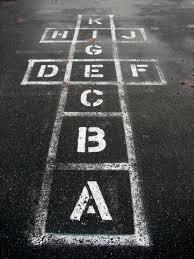 Using the chalk, create a hopscotch pattern on the ground. Have your child hop on one foot through the course, saying the sight words out loud as they land on it. If they lose their balance or step on a line, they must start over. Online word games for kids are a great way to practice anywhere at any time. There is no shortage of sight word games, so grab a device and get your child playing (and learning!) now.